Native to tropical and subtropical South America. Vibrant colors come not from the inconspicuous true flowers but from the large, papery, petal-like bracts that surround them and come in many colors. 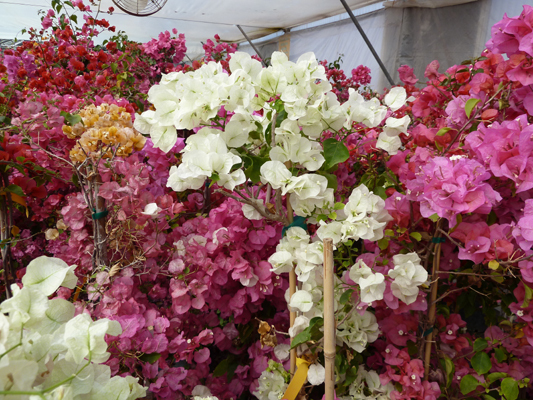 bougainvillea can be used as a houseplant or hanging basket. They do best outdoors but are not frost hardy. Can be used on your patio in the summer but needs to be brought back indoors in the fall.